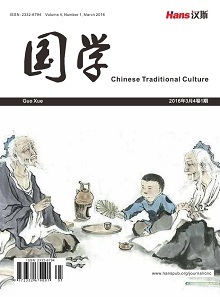 The supervisory system of Ancient China has experienced the formation period of Qin and Han dynasties, the development period of Sui and Tang dynasties, the strengthening period of Ming and Qing dynasties, and formed a relatively complete system. Its typical characteristic is the coexistence of the independence of the supervisory power and its dependence on the imperial power, impeaching somebody just according to what the supervisors overhear and using to be controlled by man, resident agencies and inspection system, the top to down supervision and the supervision of the low-grade officials to the high-level officials. 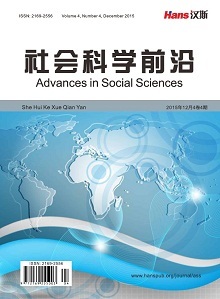 It is important and significant to study the evo-lution of the traditional supervisory system of ancient China and to draw useful experiences and lessons for promoting the reform of the contemporary supervisory system. 左双文, 冼剑民. 一部研究中国监察制度的力作—《中国监察制度研究》读后[J]. 广东社会科学, 1999(4): 138-139. (汉)司马迁. 史记∙武帝本记[M]. 延吉: 延边人民出版社, 1995. 陶百川. 比较监察制度[M]. 台北: 三民书局印行, 1978. 郭静如. 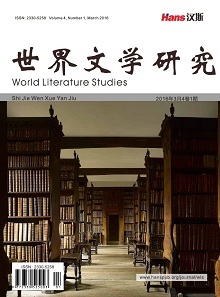 古代监察制度的发展历程及其现实启示[J]. 齐齐哈尔大学学报: 哲学社会科学版, 2017(5): 99-101. 吴凤霞. 略论中国古代监察制度演变的几个特点[J]. 廊坊师范学院学报, 2006, 22(1): 52-55. 颜世安. 荀子、韩非子、庄子性恶意识初议[J]. 南京大学学报(哲学, 人文科学, 社会科学), 2010, 47(2): 63-78. 孙军, 于恩忠. 唐朝的监察制度及积极作用[J]. 政法论丛, 1998(3): 52-54. 陈哲夫. 监察与监督[M]. 北京: 北京大学出版社, 1994. (唐)李林甫, 等. 唐六典∙御史台[M]. 陈仲夫, 点校. 北京: 中华书局, 1992. (宋)欧阳修, 宋祁. 新唐书∙百官三[M]. 北京: 中华书局, 1975. 马作武. 秦汉时期监察制度形成及思想探源[J]. 政法论坛, 1999(3): 107-113. 贾玉英. 略论宋代御史六察制度—兼与刁忠民同志商榷[J]. 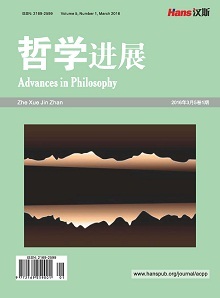 史学月刊, 2002(12): 17-23. 季盛清. 宋代台谏合一考述[J]. 杭州大学学报, 1992(2): 73-79. (明)宋濂, 等. 元史∙张雄飞传[M]. 北京: 中华书局, 1976. (清)张廷玉, 等. 明史∙职官二∙都察院[M]. 北京: 中华书局, 1974. (清)顾炎武. 日知录∙部刺史[M]. 周苏平, 陈国庆, 点注. 兰州: 甘肃民族出版社, 1997. (清)赵翼. 陔余丛考.监司官非刺史[M]. 栾保群, 吕宗力, 点校. 石家庄: 河北人民出版社, 1990. (唐)杜佑. 通典∙职官∙御史台[M]. 北京: 中华书局, 1984. 武夫波. 中国监察制度的逻辑、传统与意义[J]. 国家行政学院学报, 2017(6): 65-69.